Minister of Agriculture and Rural Development Nguyen Xuan Cuong pointed to a range of bottlenecks hindering agricultural restructuring at a debate of the 14th National Assembly’s second meeting in Hanoi on November 2. Minister Cuong said cutting-edge technologies have yet to drive production although the country has huge production capacity. Other problems include poor food safety, weak competitiveness and an unstable market. Only 4,000 businesses, 12,000 cooperatives and 29,500 farms are engaged in production, he added, blaming slow agricultural restructuring on low public awareness, unsuitable policies and limited investment. The minister suggested encouraging farmers to participate in production models and adjusting policies to attract more investors to the sector, promote the development of cooperatives as well as support people in remote and disadvantaged areas in production. He also proposed the NA inject more resources into agricultural restructuring and allocate them directly to cities and provinces to help speed up the work. It is also necessary to mobilise more resources via public-private partnership (PPP) models, Cuong noted. However, the minister said, Vietnam has reaped achievements in agricultural restructuring, transforming itself from a food-hungry country to one of the world’s agricultural exporters. Many localities like the Mekong Delta province of Dong Thap and the northern mountainous province of Ha Giang have indentified their key agricultural products and development trends, he said. He also cited outstanding sectors such as pig breeding and fishery with the most noteworthy being shrimp and tra fish exports, and milk production which has penetrated 40 countries worldwide. 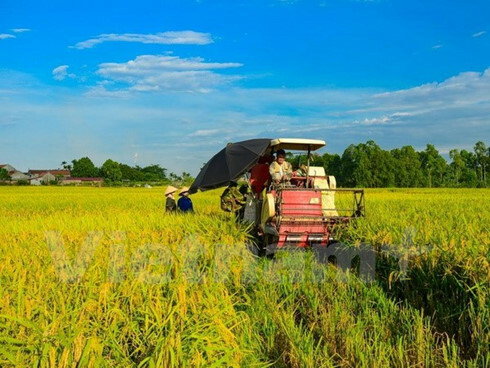 Many big investors like the Dabaco and Minh Phu groups have invested in agriculture, representing some successes of the restructuring process, according to the minister.